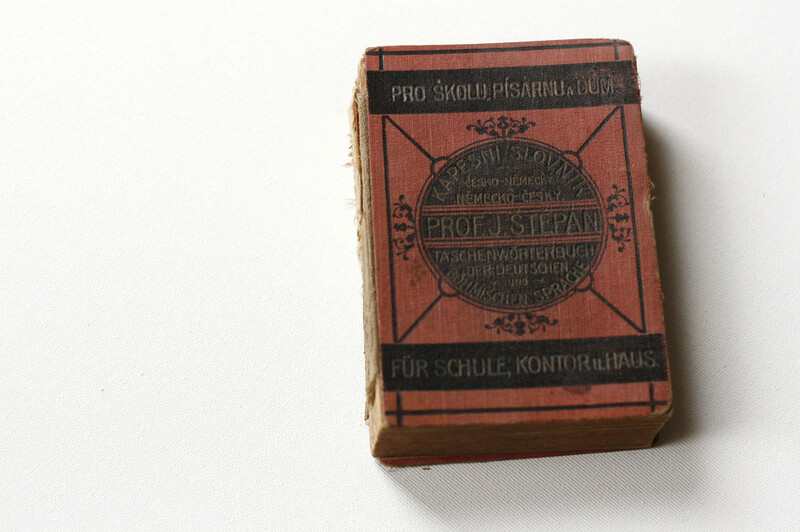 … pocket-size German-Czech dictionary, published in 1923. 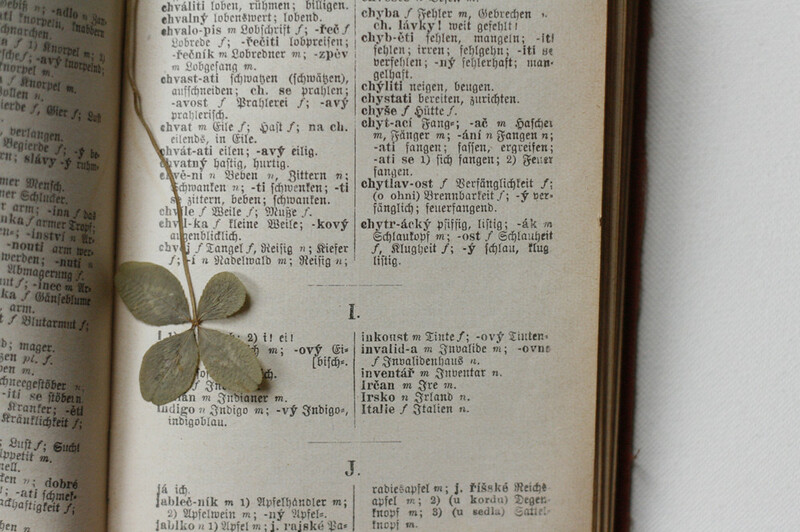 Even though this was five years after the end of the Habsburg Empire, Austria still had close cultural and economic ties with Bohemia at that time, so it’s no surprise that someone in my home area should have added this handy dictionary to his/her personal library – even if that library consisted mainly of prayer books. … a two-hundred pages strong manual on Horseshoeing. 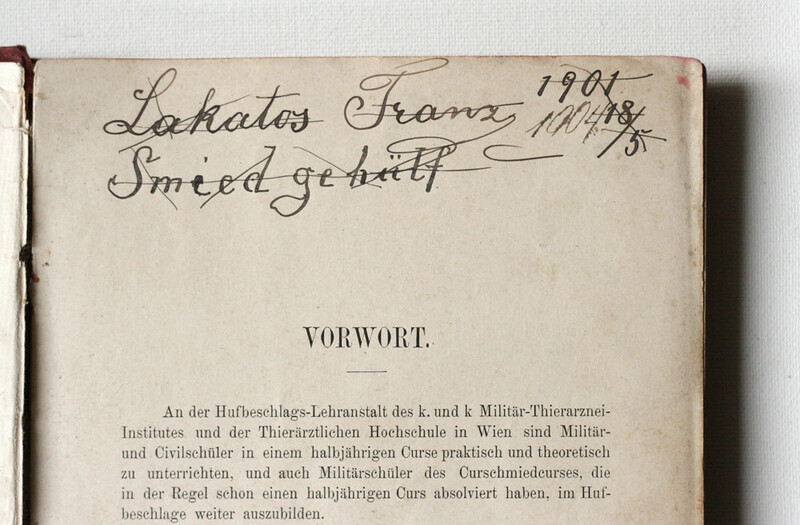 On the title page, there’s a note of ownership from one Franz Lakatos who calls himself a Smiedgehülf [blacksmith’s aid]. At an unknown later date, the volume must have passed in the possession of my great-grandfather who was a smith, too, and left his name on the rear endpaper of the book. From what you’ve seen and read so far, you’d believe that my ancestors living in the late 19th and early 20th century were nothing but a bunch of hard working, god-fearing squares. But among all their books of work and prayer, one also finds books of quite a different category, namely novels and novellas. And not just any novels. No, most of them are of the kind which is usually described as Servant girls’ literature, i.e. 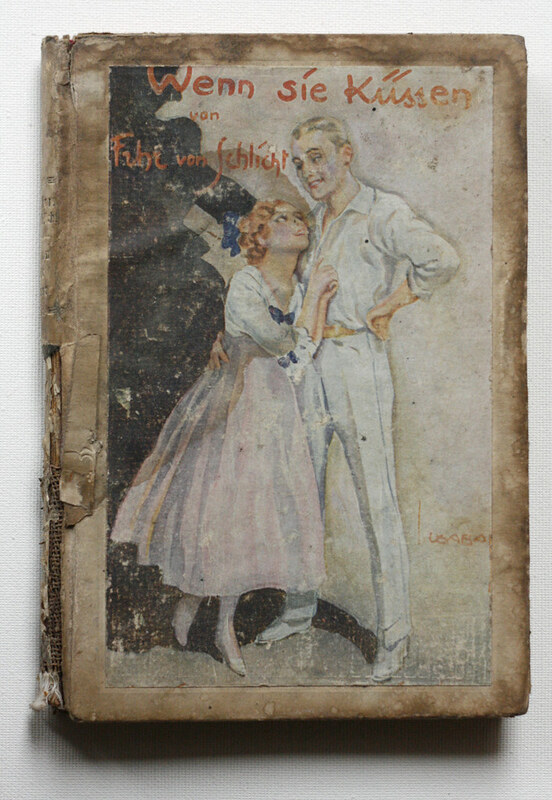 overly romantic love stories ranging from the humurous to the frivolous, sometimes even downright bawdy, or – to quote one of my own, earlier posts – telenovelas before the invention of the TV. 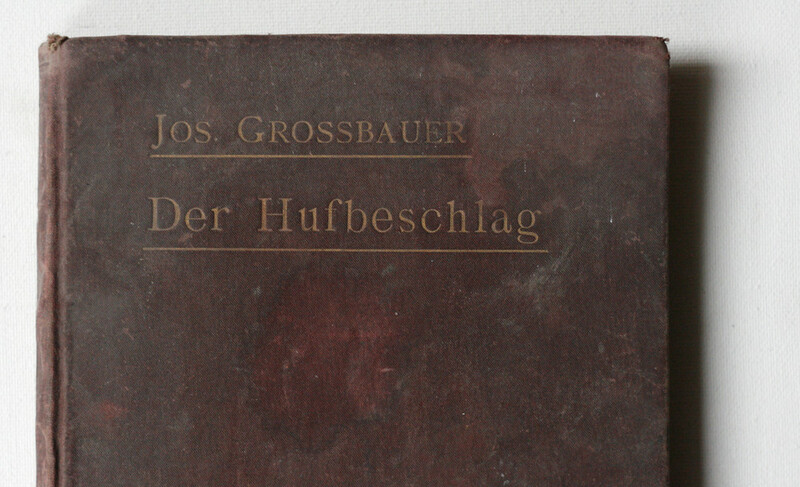 In the German speaking world, the author known as Freiherr von Schlicht (his real name was Wolf Ernst Hugo Emil Graf von Baudissin) was one of the most popular writers of light fiction at the beginning of the 20th century and it’s only natural that one of his works should have found its way into my ancestors’ collection of books. There’s a handful of other books of this kind, too, all of them by mostly obscure German writers. 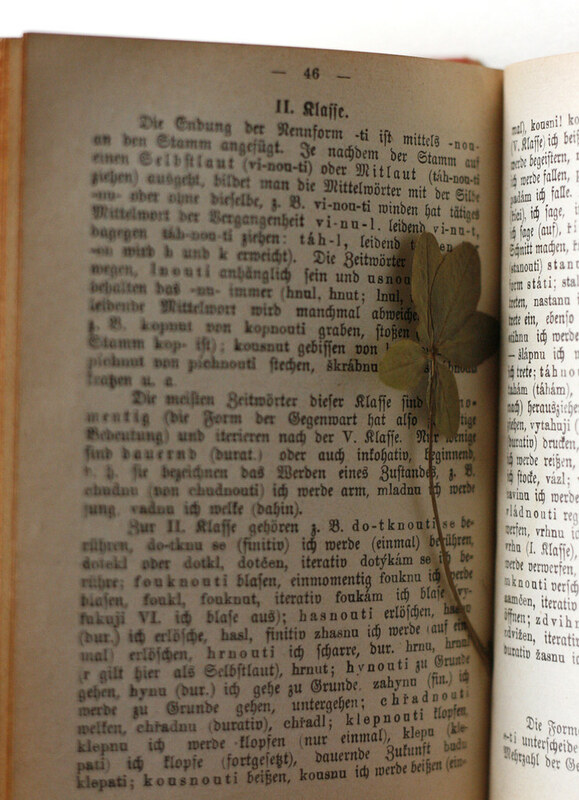 The most unexpected find among them is, perhaps, a 1928 edition of Colette’s Phil und Vinca [the French original is called Le Blé en herbe; in English, it has been published as Ripening Seed but also as Green Wheat]. 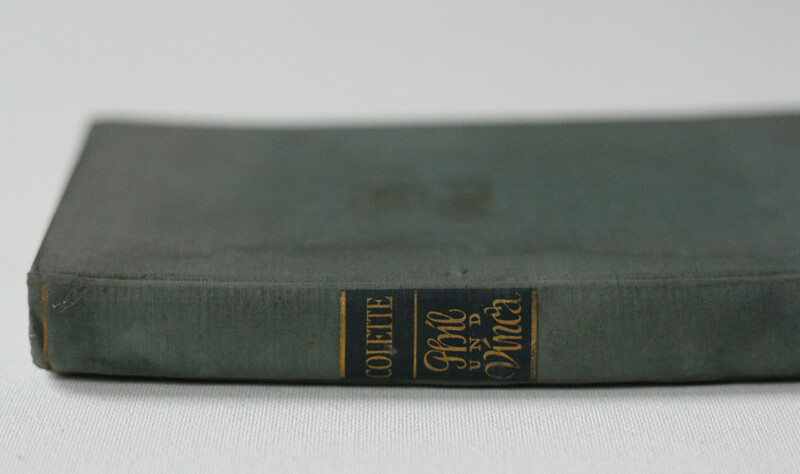 So it seems that for my ancestor there was a world outside of church and private prayer, after all, though we cant’t be quite sure whether it was even half as sensual as the world found in the writings of Colette. 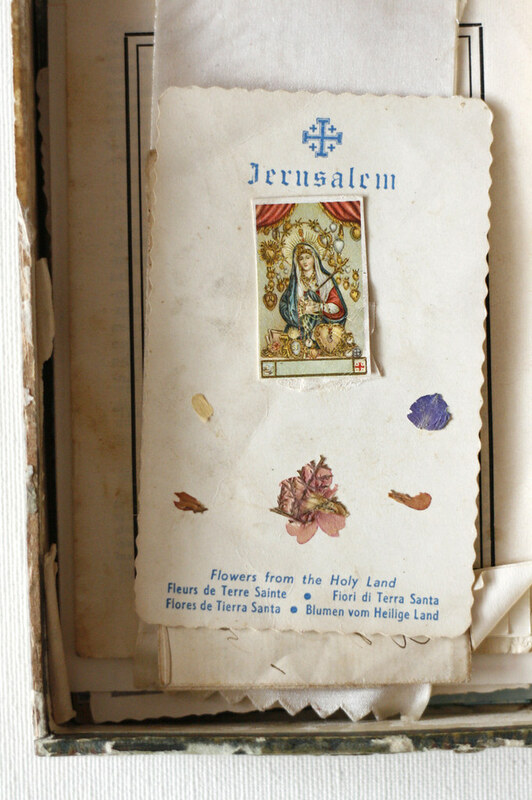 It’s inscribed Flowers from the Holy Land (in five different languages) and has five different kinds of blossoms (one for each language?) glued onto it. I suppose this must have been a gift from someone outside the family because it’s from the belongings of my great-grandmother who died in 1986, and, for all I know, nobody in my family had been to Israel before that. 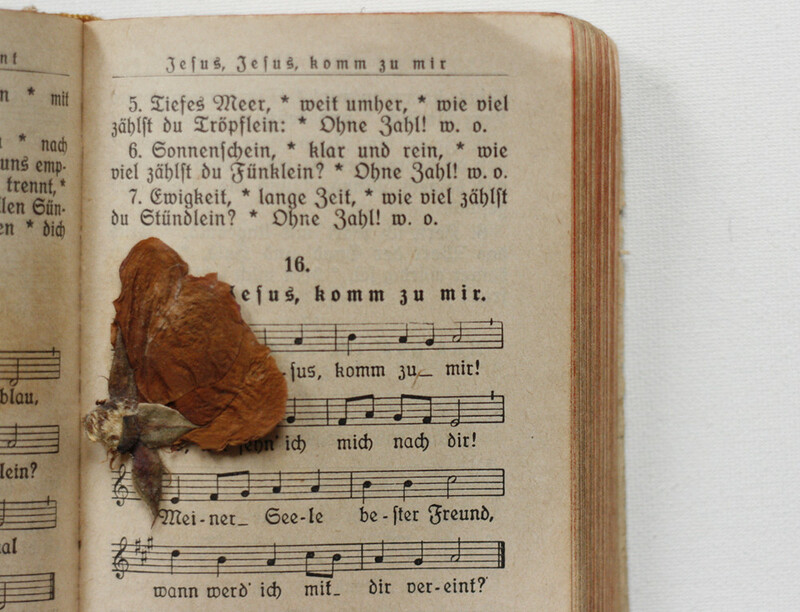 … that, many many moons ago, one of my ancestors put between the pages of a religious songbook to press and dry.